What are the benefits to using string datatypes over bytes32 to represent text data. It seems my contract runs into an out of gas exception when I switch the data structures from bytes32 to string. Why string instead of bytes32? Use string for arbitrary-length string (UTF-8) data that's longer than 32 bytes. Frontends can decode a long string easier using methods like web3.toAscii or UTF-8 (when issues are fixed), instead of implementing the logic of UTF-8 decoding a series of bytes32. String literals support escape characters, such as \n, \xNN and \uNNNN. \xNN takes a hex value and inserts the appropriate byte, while \uNNNN takes a Unicode codepoint and inserts an UTF-8 sequence. Why bytes32 instead of string? Answered in Why do Solidity examples use bytes32 type instead of string? 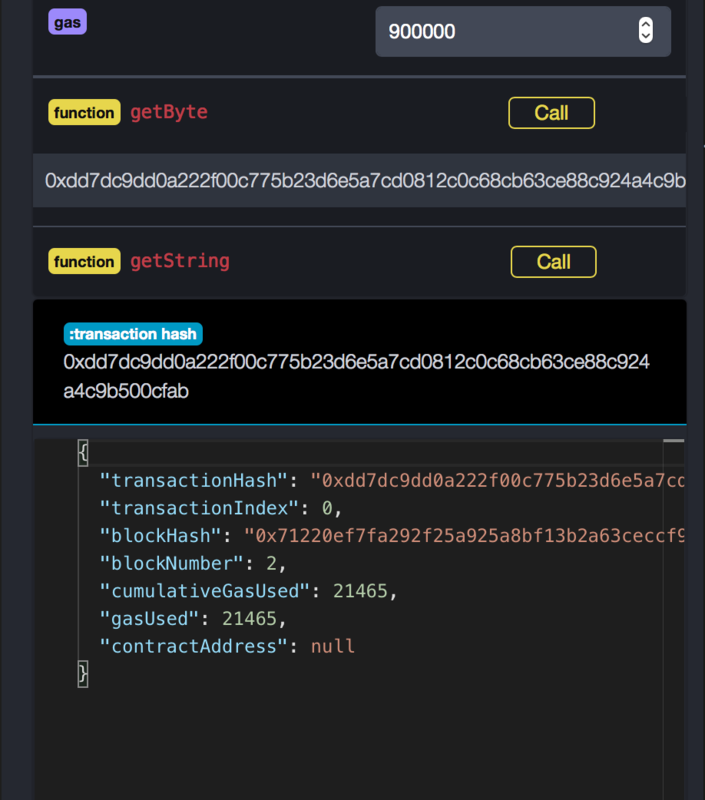 bytes32 uses less gas because it fits in a single word of the EVM, and string is a dynamically sized-type which has current limitations in Solidity (such as can't be returned from a function to a contract). Not the answer you're looking for? 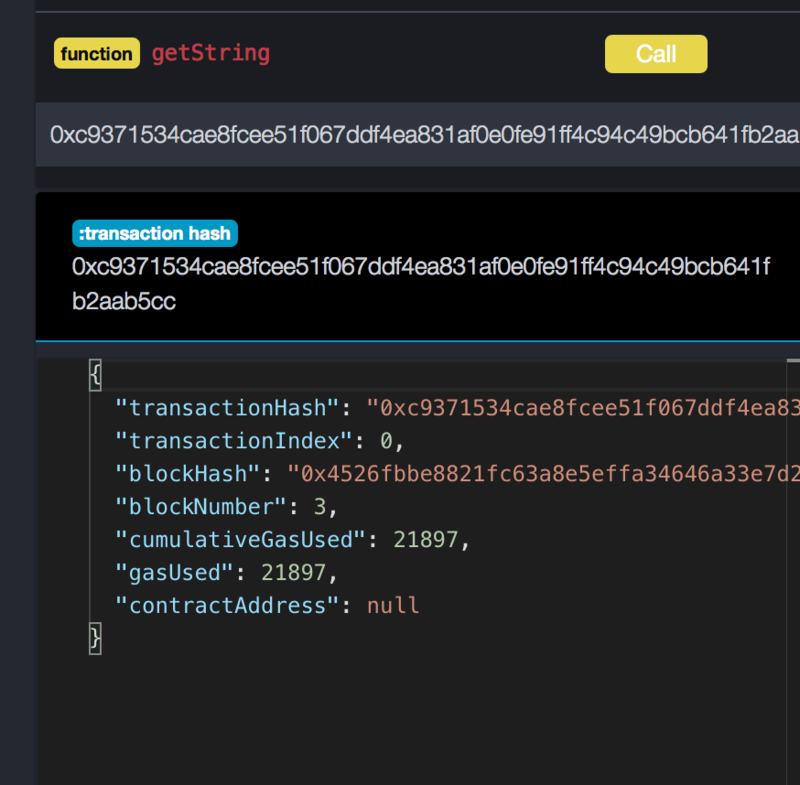 Browse other questions tagged solidity contract-development contract-design string bytes32 or ask your own question. String or byte32 type in solidity? Why do Solidity examples use bytes32 type instead of string? (Solidity) Is using 'string' safe? How to return string over 32 characters from bytes32 array? Why can I store over 32 characters in bytes32? Where is the barrier between using uint256 and bytes32?